Héctor Serrano is an industrial designer with offices in London, UK and Valencia, Spain. 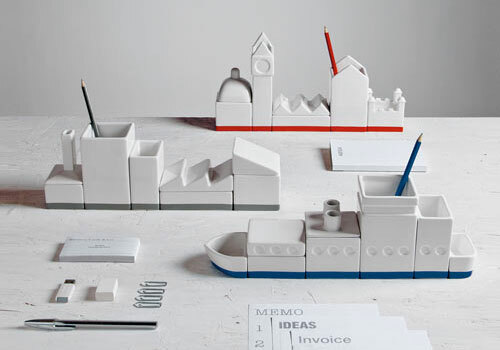 His recent project Desktructure for the company Seletti is a collection of modular desk accessories. Metropolis is a brand-new collection of functional porcelain objects by the Valencia-based firm Lladró. Each object is a building and, gathered together in one space, they create a skyscraper-filled urban environment. How awesome! Valencia, Spain-based illustrator Borja Bonaque creates incredible cityscape images with a retro color palette, strong forms, and a gritty texture.